The last article I wrote discussed “Nonbos” in Magic, and went pretty in-depth about the inclusion of Swords to Plowshares in a deck with Delver of Secrets. 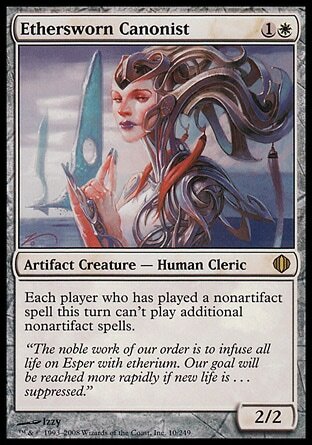 In the article, I cited an Esper Delver list that was playing very well for me. Fortunately, it has continued to do so! As the relative popularity of various builds of Esper Delver has continued to rise, I’d like to do a deep dive into my particular configuration, and why I think it is a great list to play in order to stay a step ahead of the Legacy metagame. About a year ago, I got wind that Dylan Donegan developed a ruthlessly efficient build of Grixis Delver, opting to play a full 4 Gurmag Angler as his non-Delver/non-Deathrite Shaman threats of choice. By trimming Young Pyromancer, Gitaxian Probe, and Stifle/Cabal Therapy from the main deck of Grixis Delver, he was able to fit additional removal, countermagic, and a full four Thought Scour to enable the Gurmag machine. As mentioned in the article on “Nonbos”, Delver decks have evolved beyond the Canadian Threshold-style plan of not letting your opponent play Magic, and instead look to convert their remarkable efficiency into wins. This quad-Gurmag deck exemplifies this as the pinnacle of efficiency; every card in the main deck can be cast for one mana or less. I’ve considered this deck a work of art from the moment I saw it, and the only obstacle standing in its way was its susceptibility to a resolved Chalice of the Void or Counterbalance. At least half of that problem is gone now. The Fair Deck “mirror” revolves around being able to have the last threat on the board. For a Fair Deck to consistently beat a Combo Deck, it should be able to interact on as many of the following axes as possible: life-total pressure, hand disruption, countermagic, and permanent-based disruption. For the Fair vs Fair matchups, in order to be the one with that last threat, you want to play the best removal spells and the stickiest threats. 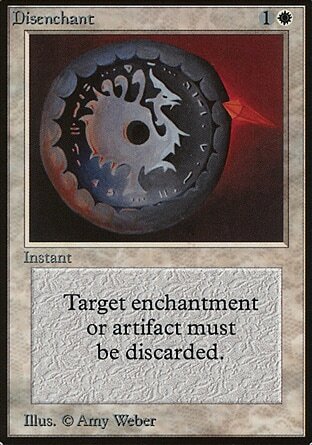 The best removal spell is Swords to Plowshares, and Fatal Push is a pretty close second. 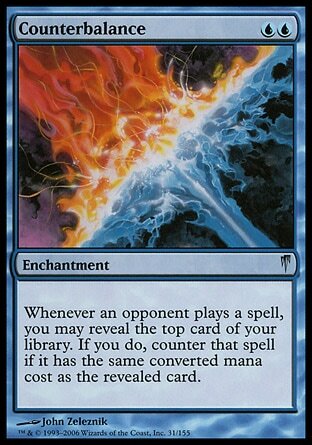 While Lightning Bolt is an extremely potent Magic card, it’s hard to debate that the White and Black spells just hit more things. On top of that, Zealous Persecution is the most powerful two-mana sweeper effect. The stickiest single-creature threats are True-Name Nemesis and the Delve threats: Gurmag Angler, Tombstalker, and Tasigur (as long as your opponent isn’t playing Karakas). However, there is one more particularly sticky threat fell by the wayside in late 2013, as a lot of Stoneblade lists moved away from it in order to play the Merfolk with protection from one’s opponent. That card is Lingering Souls, and I’ll sing more of its praises in a few paragraphs. The Delver shell’s efficient threats are among the best ways to pressure your opponent’s life total. Black offers the best hand disruption: Thoughtseize, Cabal Therapy, Duress, Hymn to Tourach. 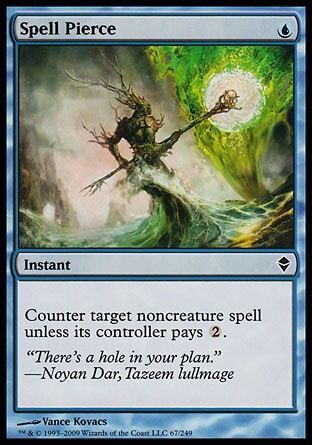 Blue offers the best countermagic: Force of Will, Daze, Spell Pierce, Counterspell, Spell Snare. White offers the best permanent-based hate cards: Rest in Peace, Ethersworn Canonist, Containment Priest, Meddling Mage (if also Blue), Gaddock Teeg (if also Green). While eighteen lands is often “fine” in a low-to-the-ground Delver deck, compounding this land count with the four Gurmag Anglers led to a few more clunky hands than would be preferred. Only having two Tundra made it a little too easy to get stranded without access to White mana. Lingering Souls overperformed significantly and consistently, and drawing multiples was not an issue, provided the mana to cast them. Playing 2 felt like not enough. First, let’s delve into the creature suite. We’re supplementing the auto-includes of four Deathrite Shaman and four Delver of Secrets with three Gurmag Angler and three Lingering Souls. The raw power of this Zombie Fish is very well-known. It’s the heavy hitter to round out traditional Grixis Delver lists, as well as the win condition of choice in Pierre Dagen’s GP Vegas 11th Place list. In addition to easily becoming a 5/5 for a single Black mana, it does so while dodging Lightning Bolt, Fatal Push, and Abrupt Decay. While it’s most vulnerable to unsummon effects, it’s also weak to Diabolic Edict. This is where the synergy with Lingering Souls shines, since if you have Spirits around, one of them can eat the Edict instead. 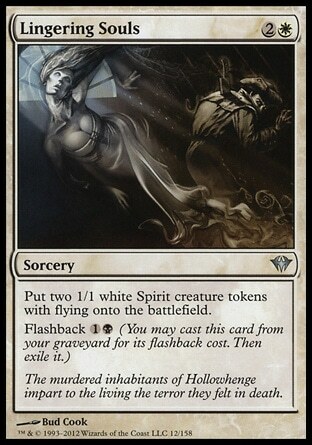 This card is the main reason to play White in this shell, and I believe it unlocked the true potential that the deck has to offer. It makes both spot removal and countermagic look terrible, since if it gets countered, they’re only countering half of the card. It dominates combat, as you can both attack and block off of the same card! Its main vulnerability, however, is that an opposing Deathrite Shaman gets in the way of reliably casting both halves over two turns. To get around this, if you have 5 mana, you can cast both halves of it without giving your opponent a chance to eat the card while it’s in your Graveyard. Just make sure you don’t use any mana-producing abilities that use the stack between casting each half, and your opponent won’t have priority before the second half of the card is on the stack! 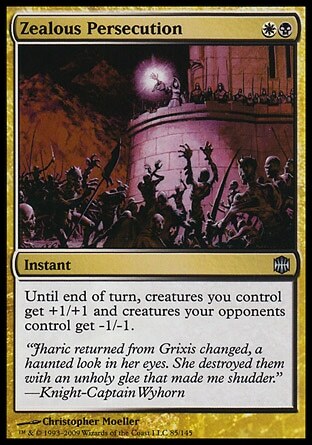 Another benefit of Lingering Souls in the threat-base is that it allows you to increase your creature count without lowering your Instant/Sorcery density. This 19 Land, 14-threat deck has a full 30 Instants and Sorceries. If that’s not going to convince Delver of Secrets to flip, nothing will! Now, let’s look into the noncreature spells. The deck seems to want six main deck removal spells, and the 3/3 split is a concession to a few factors. While Swords to Plowshares is the better removal spell, the mana in the early game favors access to Black over access to White, due to Deathrite Shaman. Also, when you’re removing things that Fatal Push hits, you may as well not give them any life if you don’t have to. However, Swords to Plowshares’ ability to send anyone farming, even large Zombie Fish or 20/20 ice monsters, makes it merit an equal split with Fatal Push. In a vacuum, this looks to be the weakest card in the deck, since it’s a cantrip that doesn’t have built-in card selection. Here, though, it’s the glue that holds this entire thing together. 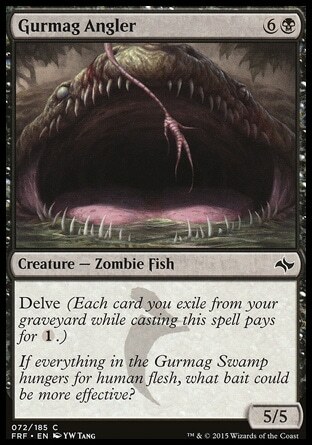 Its primary functions are to fuel Gurmag Angler and provide bonus Lingering Souls, but it has a lot of more subtle utility, too. One thing you can do is use it to enable an instant-speed “perfect” Brainstorm without having to play a fetchland to clear the top. Brainstorm puts two cards back on top, and Thought Scour sends them to the bin! It also makes a one-land + Brainstorm + Thought Scour hand keepable, since you can EoT Brainstorm and upkeep Thought Scour, giving you 5 looks at more land without risking a Brainstorm-lock, even if you miss. Another piece of utility is that you can use it in tandem with an unflipped Delver of Secrets as a Scry. Once you look at the card, if you don’t want it, you can Thought Scour it away before you draw it! Similarly, if you Ponder and aren’t sure if you want a particular card, you can leave it on top, and just Thought Scour it away before your next draw step if it’s not what you’re looking for. Many people play their critical spells with one mana available to play around Daze, but it’s hard to afford to wait long enough to play around Spell Pierce. Due to the utility of all of the instant-speed cantrips, you can reliably leave up Spell Pierce and still use the mana to Brainstorm/Thought Scour if you didn’t end up casting it. The sideboard is a combination of additional removal, hand disruption, graveyard hate, additional countermagic, troublesome permanents, and ways to get rid of troublesome permanents. Here’s how I approach some common matchups, but keep in mind that none of these plans are set in stone! The specifics of sideboarding will frequently change, depending on the opponent’s play-style and exact decklist. For most combo matchups, I usually want to cut all spot removal, 3 Lingering Souls, and up to 1 Gurmag Angler, and bring in the relevant sideboard cards that disrupt that combo deck. A caveat is what we definitely want to leave all Swords to Plowshares in against Turbo Depths, and probably keep a couple copies of it against BR Reanimator, as well. For the Delver deck mirrors, you want to cut the Spell Pierces, and up to 2 Daze/Force of Will. Bring in additional removal spells, and you might want Zealous Persecution if their density of 1-toughness creatures merits it. It’s worth noting that Zealous Persecution acts as a powerful combat trick even when it isn’t sweeping the board on its own. It’s also a way to pump your team for some unexpected reach, winning the game out of nowhere. For the grindy matchups, I generally cut Force of Will and shave some Daze on the draw, although this depends on the opponent. 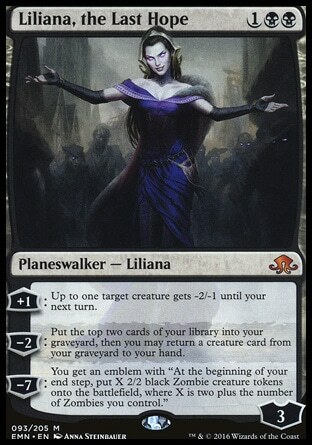 Liliana, the Last Hope shines in these matchups, and Vindicate is a clean way to answer an opposing Planeswalker. Flusterstorm and Thoughtseize also play a role in answering particularly powerful threats. Against these decks, I often replace a few spot removal spells with Zealous Persecutions, it can answer multiple Baleful Strix, True-Name Nemesis, and Snapcaster Mage in one clean shot. 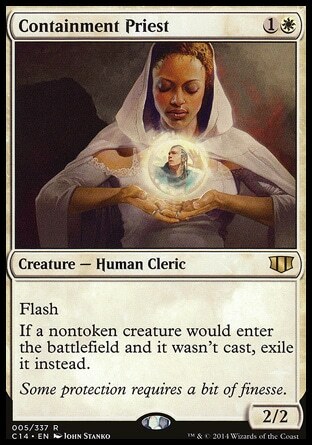 You can also combine Zealous Persecution with Liliana, the Last Hope’s +1 ability to get rid of a 2-toughness creature. In these matchups, keep in mind that you don’t have to flashback Lingering Souls if you think your opponent may have a board wipe and you’d otherwise be out of pressure. Against Elves, I cut some combination of Lingering Souls, Gurmag Angler, Daze, and Spell Pierce. I bring in Thoughtseize, Ethersworn Canonist, Containment Priest, Zealous Persecution, and Liliana, the Last Hope. This plan might need to be modified if you anticipate your opponent bringing in multiple copies of Choke. Against Death and Taxes, I am in favor of cutting countermagic entirely, and adding Diabolic Edict, 2 Zealous Persecution, 3 Thoughtseize, Liliana the Last Hope, Disenchant, Null Rod, and Vindicate. It might be worth playing Containment Priest over Vindicate, but getting your creatures permanently exiled by Flickerwisp can be devastating. Against Blood Moon Stompy decks, I cut all Fatal Push and one Swords to Plowshares, bringing in Disenchant, Vindicate, and 2 Thoughtseize. If they’re on a Sneak Attack build, it’s probably worth cutting something else for the third Thoughtseize and a Containment Priest. 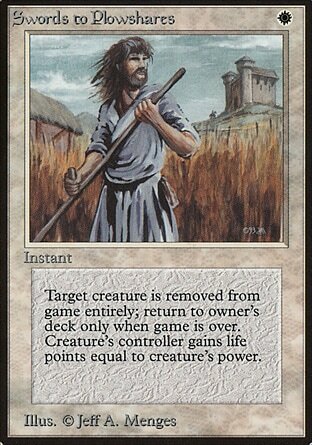 Against Lands, I cut all Fatal Push, 1 Daze, and 1 Swords to Plowshares. 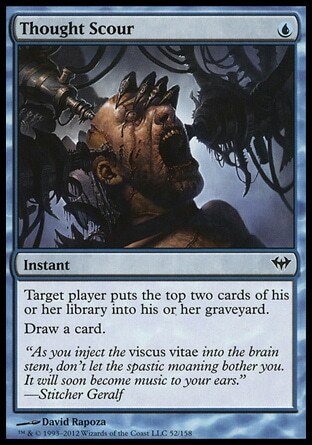 I add 2 Surgical Extraction, Disenchant, Diabolic Edict, and Vindicate. I hope you enjoyed the primer, and let me know in the comments about your experiences with the deck, as well as any questions you may have. Happy Delvering! Max Gilmore is a Legacy enthusiast hailing from Southern California. A lover of all things fair, Blue, and greedy, he enjoys the process of discovering powerful and interesting new ways to cast a Brainstorm. You can find him on MtGO as Maxtortion.